Libra Lea were formed September 2010 as a single team playing in the Walsall League as a way of Sally Bromley being able to play in the same team as her two daughters, Emily and Megan Priest and their family, friends and neighbours. Although all the players had played previously, they had never all played in a team together and this seemed an opportunity of putting some real enjoyment into their sport. The name Libra Lea is a combination of their sponsors name and the name of the road that the majority of the founding players lived in! Libra Investment Property is a family owned and run, lettings Specialist Company and two of its directors, Dave & Sally Bromley are now Chairman and Secretary of Libra Lea Netball Club respectively. The club has increased and developed substantially since that first season but still has a strong family emphasis and is enjoyment motivated. There is always a strong supporter group to be found at all games including husbands, granddads, parents, brothers and boyfriends! 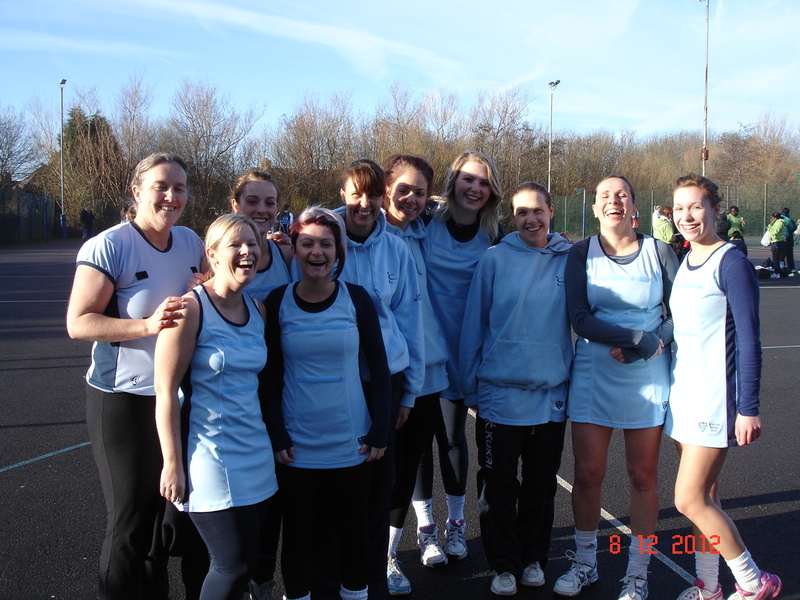 From the first season the club has increased to 20 senior members combining experienced and more mature ladies with some young girls returning from University and also some players returning to netball through the “Back to Netball” scheme. The junior section of the club is now also developing with currently 21 girls from U12’s through to U16’s. Again there is a range of abilities, with some county regulars combining with girls who are playing competitive netball for the first time. The club is based at EllowesHallSportsCollege and trains indoors in the Sports Hall every Tuesday evening 6.30pm – 7.30pm juniors and 7.30pm – 9pm for seniors. They have three Level 2 coaches and one Level 1; also 6 beginner qualified umpires including two who are starting to work towards their ‘C’ award. Libra Lea was successful in obtaining their bronze CAPS last December, after just 2 years in existence. They are currently enjoying a very successful summer season with 2 senior teams playing divisions 2 and 5 respectively in the Dudley Summer League, plus an U14 team playing in division 8. They also have 2 senior teams playing in Wolverhampton City League in divisions 1 and 3. In the forthcoming winter season they will have senior teams playing in Walsall Saturday and midweek sections, plus an U17 team playing Walsall midweek. The intention is to have an U16 and U14 team playing in the SouthStaffsCounty youth league. They will again have 2 teams playing in the Wolverhampton League. It is the club’s ambition to continue to grow and they are actively looking to attract new junior members, especially girls in Years 7, 8 & 9. Weekly training will start again in August from 6.15pm -7.30pm for juniors and 7.30pm – 9.30pm for seniors at Ellowes Hall. Please get in touch with Sally Bromley if you know of anyone who may be interested. To ensure they keep family and friends involved with their netball, following a successful men v women charity game last year in aid of Sport Relief, this year they held a fun mixed charity tournament in March and raised a massive £507 for Comic Relief and will be looking to hold the event again in future. Grasshoppers will be celebrating 40 years of Netball for their club on Friday 12th July 2013. This Club has had many achievements over the years, winning local leagues & National titles in both senior and junior competitions, plus excelling by having many International players in its history. Current players, coaches, umpires, & League representatives from key periods in the Club’s history have been invited to the celebration but, due to a limitation on numbers, it unfortunately isn’t an open door evening. Dudley Netball League wishes to extend their heartiest congratulations to Ian Fuller for achieving his International Umpiring Award whilst umpiring a recent Superleague semi-final match in Cardiff. This is the highest accreditation an umpire can gain and involves many hours of hard work and dedication to the sport. Ian now enters an elite pool of umpires who are selected to officiate at international level, in varying competitions and Test Series. Starting in Birmingham, Ian has been umpiring for 10 years and has gained vast experience by officiating in Regional League, Premier League and Superleague. Ian has also umpired internationally at events in Europe, at the Canadian National Championships and Netball South Africa’s Diamond Challenge. Ian is the third umpire in the West Midlands region to gain International status since our own Brenda Hayter who was Dudley’s Chairman and Honorary Life member who qualified in 1985 and retired in 1993; followed by Beryl Lewis (Shropshire), also retiring in 2010. He still manages to find time to officiate at Regional level with his mentor Zena Johnson, helping the umpires in his local region. Ian, enjoy your achievement and thank you for supporting our league.